Are you still searching ways to make money blogging? Here is a list of some of the Best Affiliate Marketing Companies. This post and a few others I have done will help you earn money blogging. 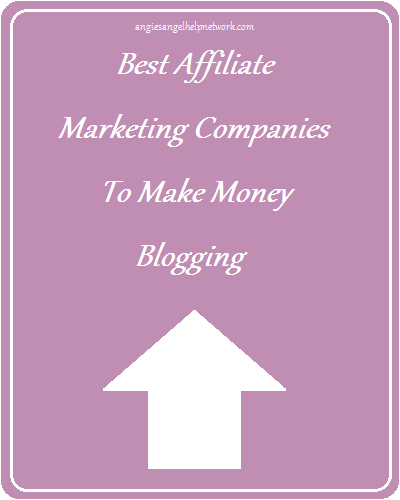 Another great way to earn money blogging is with affiliate companies. Affiliate companies are a great way to share deals, offers, savings, sweepstakes and more with your readers. When your readers enter a sweepstakes you shared, buys, prints a coupon and more you earn commission. This is a great way to add content to your blog while earning money from your work. Looking for more ways to earn money blogging check out these other posts I did: How Do You Make Money Blogging? and 50 Ways To Get Sponsored Post Opportunities For Your Blog. Here is a huge list of affiliate companies you can sign up to and start earning money with your blog. The first 5 are my top favorites that I have earned the most from. Panthera Network – Join Panthera Network and get access to 600+ offers around the world, top payouts, fast payment terms, user-friendly interface, and friendly publisher support. Plus, Panthera has a unique points program where you earn points for every dollar you earn! Join today and get a $150 sign up bonus! Panthera generates over 400,000 leads and/or sales per month for its advertising clients from all over the worldSee site for details and sign up here. My Savings Media – Connecting brands with women shoppers through shopper marketing initiatives, coupons and free sample distribution, promotional and sweepstakes marketing. Promote brand name coupons and free product samples on your web site or blog to earn money. Click here to sign up. Escalate Network – Family friendly, brand name affiliate offers for deal bloggers and women’s oriented publishers. Join the Escalate Network today! Click here to join. Glitter Network ad network, connecting trusted brands with trusted publishers. Sign up here. This post: Best Affiliate Marketing Companies To Make Money contains some of my affiliate links however I received nothing in exchange for sharing this information I have learned over the years. Regardless, I only recommend products or services I personally believe will be good for my readers and fellow bloggers. thanks to share this list. I needed.